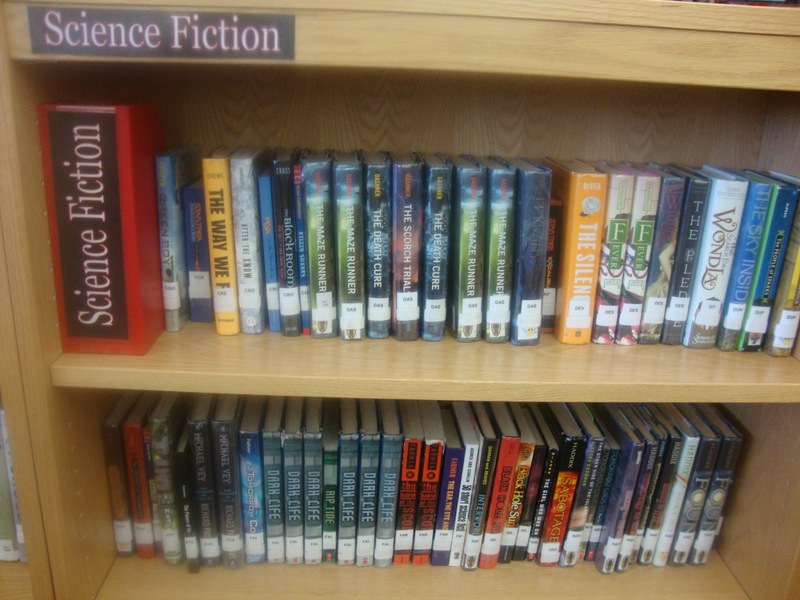 Science fiction is hands-down my favorite genre section in our library. 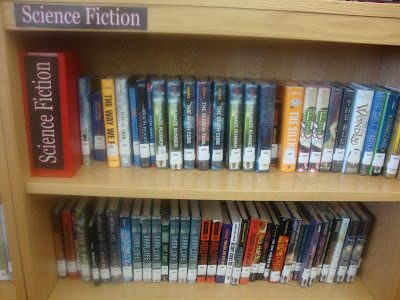 I have read lots and lots of our sci-fi books, and I almost always love them. My affection for this section is probably at least part of the reason it is so popular in our school. I read them and booktalk them heavily. They tend to have great book trailers. They tend to be genderless; boys are willing to read books with female protagonists, and vice versa. They adapt easily to the big-screen, and many of them have film adaptations. Though dystopian romance is a hot commodity in the publishing market these days, much of the new publications feature high-quality writing, strong character development, and unique world-building. Considering all this, it's no wonder that books from our sci-fi section account for ten of our top 15 most-frequently circulated titles in the past 90 days. apocalyptic event such as global climate change, plague, natural disaster, world war, etc. TROUBLESHOOTING: Holy multiple copies, Batman! Many of the books in this section are so popular that we need lots of extra copies. I have 17 copies of The Hunger Games, 11 of Catching Fire, and 15 of Mockingjay. Guess what? All of the first two in the series are currently checked out. 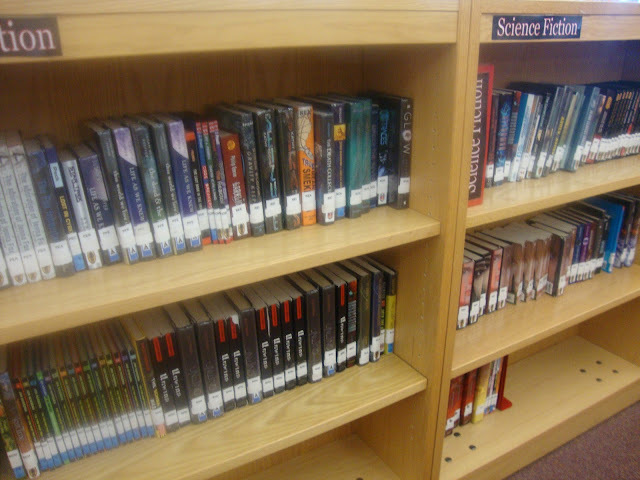 I recently stopped booktalking The Selection (Cass) because we had 26 hold requests and only three copies. After ordering eight more copies, bringing our total to 11, we now have only 3 hold requests still pending. Yeah! I can start talking it up again! The Darkest Minds (Bracken)--Another one I stopped booktalking for a little while until I can get our number of holds down a bit. 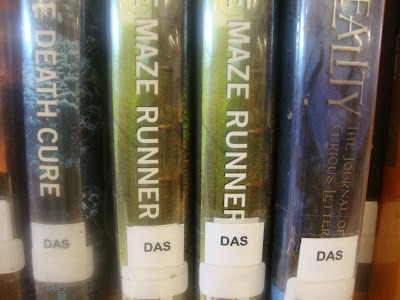 I loved The Maze Runner series. I heard they will make a movie of it? I love dystopian novels! I think I might be one of the few who has not felt the burn out of the genre.